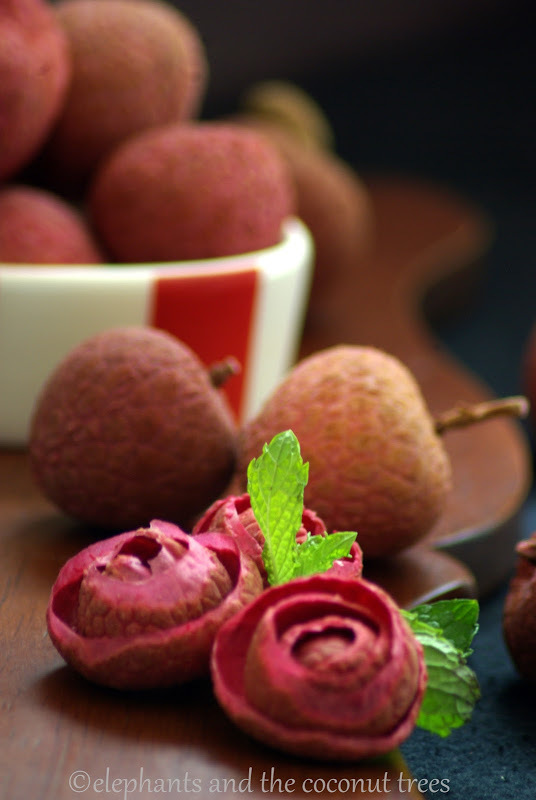 The fragrance of the lychee fruit is like an exotic perfume and the pulp is really luscious. 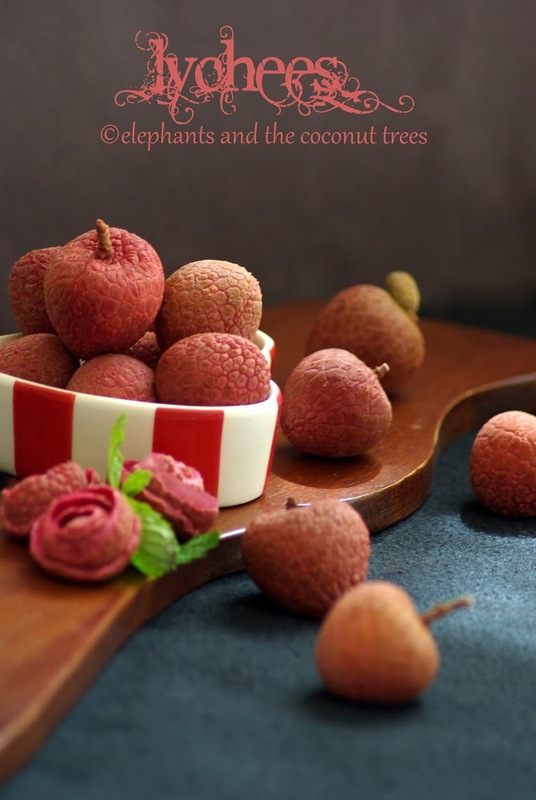 Did you know lychee has been a sought after fruit since long long time .Wiki says in the 1st century fresh lychees were in such demand at the Chinese Imperial Court that a special courier service with fast horses would bring the fresh fruit from Guangdong. The emperor had the fruit delivered at great expense to the capital.I am not at all surprised because that is how enticing the fruit is!! So when my crate bag arrived I tried two recipes .The other one will be coming soon. 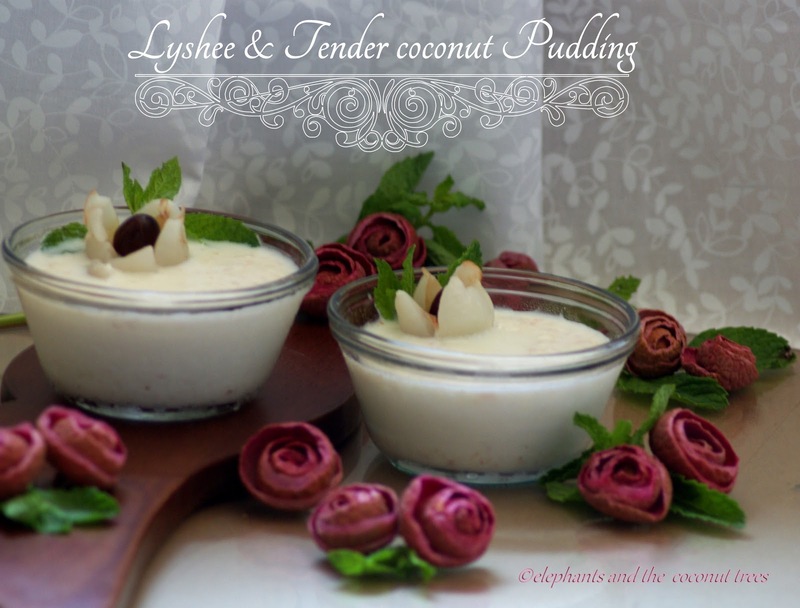 This recipe is adapted from Blessings From My Kitchen .I knew Tisa had this recipe in her blog so as soon as I got hold of some fresh lychees I went straight there but some how I could not open her blog.Next day I contacted Tisa and she immediately mailed me the recipe.Is it not a blessing to have such blogger friends! 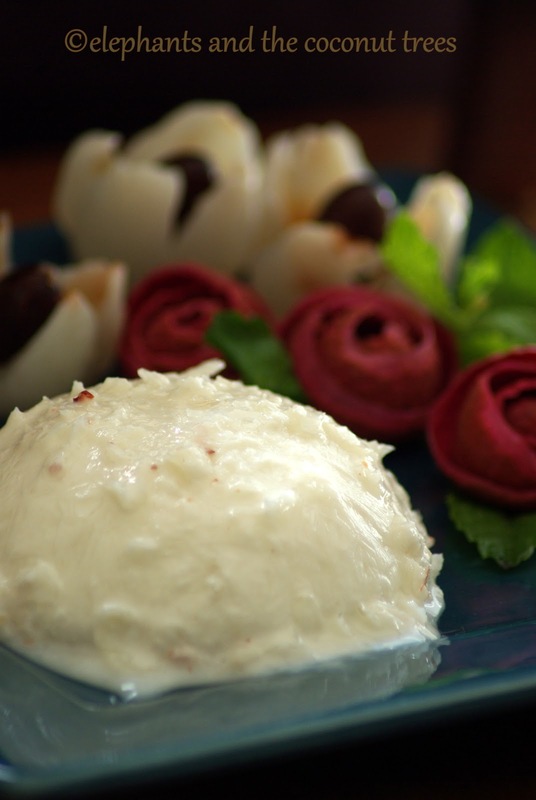 !Thank you so much dear my husband I just loved the pudding. Boil the milk and condensed milk together and set aside to cool down. 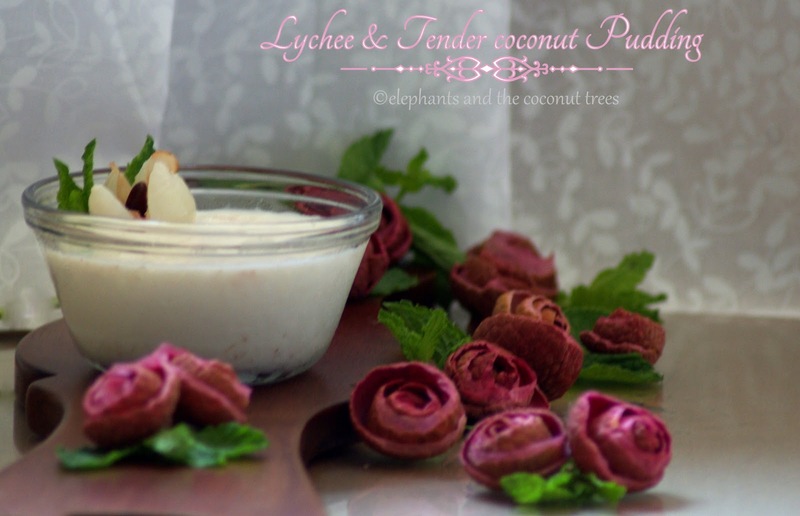 Roughly chop the tender coconut pieces and lychee. Warm up the 1/4 cup milk and mix the gelatin in it. Combine the milk,the fruit pulps and the coconut water and the gelatin mix well,pour into individual serving bowls and refrigerate until firm. Serve in the those bowls itself. Pudding is not intended to be turned upside down.I just wanted to see how well it will hold its shape ! Love to hear from u guys. A lovely combination, wonderful pudding! Meena, these flowers looks so cute. I'm just now reading this Meena, since I was on vacataion , I had not opened my blog in a few months. You did more justice than I to this pudding. Looks delicious. I like that it's all fresh. And your pictures are gorgeous. Great job, bloggie buddy! Thank you so much Tisa. I remember you telling me u r on vacation.Hope u had fun there.